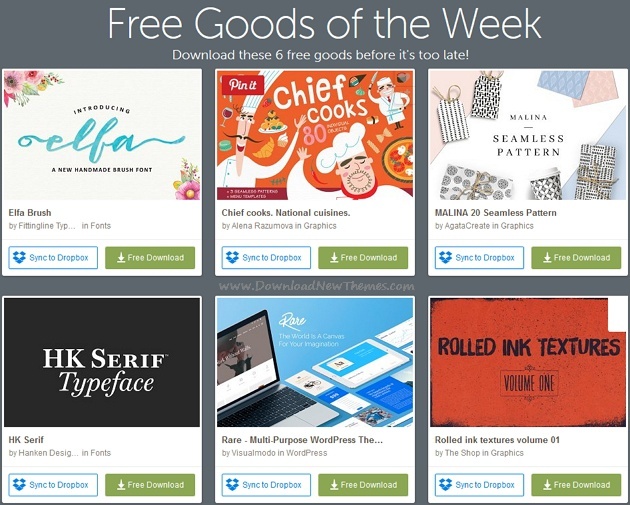 Download this weeks awesome 6 free premium graphics design goods before its too late! they are as follows: Elfa Brush premium fonts, Chief books National cuisines graphics elements, Malina 20 seamless pattern, HK Serif premium font, Rare multipurpose premium WordPress theme and Rolled ink textures volume graphics files. They have released Free Goods of the Week on 10th April 2017. They’re available until midnight of 16th April 2017. Grab this weeks freebies from across Creative Market. Item Reviewed: Free 6 Awesome Premium Graphics Design Goods No115 9 out of 10 based on 10 ratings. 9 user reviews.